Craigburn Primary School provides students with opportunities to participate in a wide range of after-hours school sports programs. 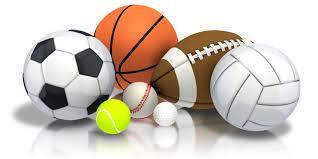 Sports offered are Cricket, Basketball, Soccer and Netball. Swimming and X-Country are also offered throughout the year. After-hours sport at Craigburn is managed by a subcommittee of the School Governing Council. A comprehensive sports policy based on state and national junior sports models and policies, outlines the guidelines and procedures for the provision of school sport. At Craigburn, students in Year 2 become eligible to participate in after-hours competitive school sports, in accordance with the age-eligibility criteria of the various junior sporting associations affiliated with the Department of Education. Students in Reception and Year 1 age can train, learn or participate in a range of non-competitive sports as coordinated by the various after-hours sports offered. Students in Years 5, 6 and 7 are eligible to participate in the South Australian School Sport (formerly SAPSASA) programs as coordinated through the school. Please see further/future blog posts for information and registration details.